Counter Strike: Global Offensive is a famous “First Person Shooter” game which is played by millions of players. If you want to be good at this game, one of the most important things is your mouse. Your mouse should respond quickly to your actions because you use it for looking around, aiming and shooting. It should also perform well with low-sensitivities and it should feel comfortable in your hand. If you think it is hard to choose the best gaming mouse for playing CS GO, it is time to check out our well-researched list. 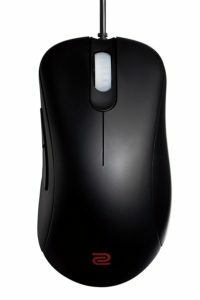 In this article, you may find a list of best mice for playing CS GO. These gaming mice are all being used by pro CS GO players and they are also high-rated products with so many positive feedback. Using one of these mice may improve your aiming and shooting in Counter Strike: Global Offensive. If you have any questions, please feel free to use the comment section below. You may find a list of most popular gaming mice among CS GO professionals. After that, you can check out our recommended mice for CS GO for 2017 and 2018. 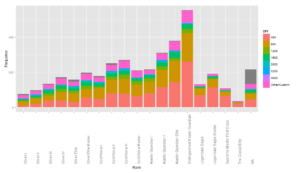 In 2017 – 2018, CS GO is still the most popular FPS game on PC platform. If you want to play CS GO like a professional player, you should choose your mouse wisely. 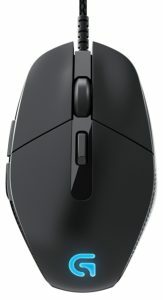 It may seem hard to choose the best mouse for CS GO because there are tons of mice out there with different brands, features, prices and etc. Our choosing guide will help you to buy the most effective mouse for playing CS GO. So what do you need to consider before buying? Let’s get to the work. If you want to play CS GO for hours without having any pain, you should know that comfort is the most important factor here. All of the gaming mice on our list provide a comfortable gaming experience. Your new CS GO mouse should feel comfortable in your hand. This thing is called “grip style” and I advise you to read user reviews for each mouse about their gripping styles. You can watch this video and learn your grip style. A quality mouse pad is also as important as your mouse. You can check out our post for choosing a mouse pad for CS GO. DPI stands for “Dots per inch” and this measures how sensitive a mouse is (to your movements). I would recommend choosing a mouse with high DPI interval so you can change it whenever you want to You can also check out professional players CS GO settings here and decide what DPI you need. Many professional gamers choose wired gaming mice over wireless ones. I am on the “wired” side too because I think wired gaming mice are better for FPS games like CS GO. Of course, you can go for a Razer Mamba and be happy with it. Or you can choose a wired mouse and buy a mouse bungee to prevent cord mess. For CS GO, you won’t need any macros or many extra buttons. Most of the average gaming mice have at least 2-3 extra buttons and I think this works well for CS GO. But if you play MMO or MOBA games, it will be a plus for you. Logitech, Razer, Steelseries and many other brands have special software to configure your gaming mouse. You can change its colors and create profiles for each game. What has Changed in 2017 – 2018’s CS GO? We are in late 2017 and CS GO is still one of the most popular PC games. There are lots of new professional CS GO players and teams. A Youtube channel named “Hardware Totem” uploaded a great video about professional CS GO player mouse choices and you can watch it below. All of these mouse models are on our list. You can check out their Amazon product page and read detailed user reviews for further information. 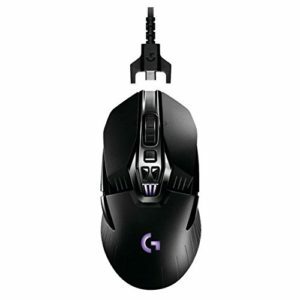 Logitech is one of the most popular brands for gaming gear and G502 is one of the best products Logitech ever made. It comes with an advanced optical gaming sensor “PMW3366” which is one of the most accurate and responsive optical sensors out there. You can tune its weight and balance for superior fit and feel. There are 11 programmable buttons for macros or other keys you want to assign. G502 has a comfortable design with textured rubber grips and a nice button layout for your extended gaming sessions. You can create your own gaming profile by choosing a DPI value between 200 to 12.000. You can easily customize Logitech G502 with Logitech Gaming Software. 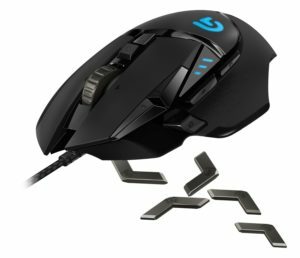 If you want to buy a well-designed, professional gaming mouse, you should definitely consider Logitech G502 as your new CS GO gaming mouse. You may not have heard of Mionix Castor, but this mouse is one of the most popular gaming mice among CS GO players. It has a nice design and is prepared considering the ergonomics of the players. You can comfortably place five fingers on it, which helps you to get a better gaming experience. It has a 4-layer rubber coating so you can grasp the mouse well. This mouse gets its power from a 32bit ARM processor and in FPS games like CS GO, a powerful processor is very important. Mionix Castor has a 128kb memory to store your macros or profile settings. Another important point in FPS games such as CS GO is the value of the DPI of a person. The Mionix Castor has a sensor value of 10.0000 DPI and is engineered to deliver the best performance for both fast and slow mouse movements. This mouse has 6 programmable keys and you can use mouse commands or assign your macros to these keys. Many amateurs and professional CS GO players use Mionix Castor. For this reason, you should look at this product before you buy a new gaming mouse. If you are looking for a professional gaming mouse that you can use both wired and wireless, the Logitech G900 can be a good choice for you. With the G900, a mouse used by the Esports players, you can get a good experience without the lagging problems you encounter when using cheap gaming mice. 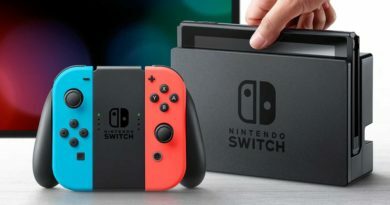 You can use it up to 30 hours with a single charge. It uses PMW3366 which is a well-known sensor among the gamers, this mouse delivers both an accurate and smooth tracking experience. When selecting a mouse for FPS games, one of our most important priorities is the DPI range. On the G900 you can choose a DPI value from 200 to 12,000, which will work for you when playing CS GO because you can adjust the mouse to suit your needs for both fast and slow use. This mouse can use both right-handed and left-handed gamers so you can grasp the mouse in any way. You can change the RGB lights on it to 16.8 million colors and customize it with Logitech Gaming Software. The G900, one of the best player mice produced by Logitech, is also a good choice for you. Corsair is a well-known brand by players. RAMs, CPU coolers, and other Corsair products are quite successful and this brand has recently achieved a good position in gaming mice category too. Corsair M65 is very popular among CS GO players and it has a high accuracy sensor with a value of 12,000 DPI. This mouse is really good quality, lightweight, sturdy and well constructed. You can customize the balance center of the Corsair M65 to suit your exact needs. You can also customize the mouse for the surface you are using it. You can change the DPI value while playing CS GO, using the DPI switch button on the mouse. Like other good player mice, you can customize the RGB lights on the mouse and assign different commands for different keys. The Omron switches in the Corsair M65 are solid enough to hold about 20 million clicks. You should definitely consider the Corsair M65 which is a highly successful and popular gaming mouse. 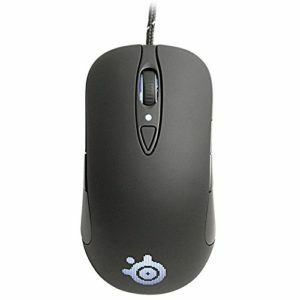 Another quality mouse we can recommend for CS GO players is CM Storm Recon. This mouse can be used with both hands and can provide DPI values between 800 and 4,000. Like other professional gaming mice, there is a button on the mouse where you can change the DPI value while playing CS GO. CM Storm Recon has 9 programmable keys on it and they are pretty useful for any FPS or MOBA games. You can store 5 profiles and 36 macros on this mouse. There is an effective and robust design so you can grip the mouse well. If you are someone who likes to customize gaming gear, CM Storm Recon will give you what you want. There are lights on the mouse wheel, DPI adjustment buttons, and the CM Storm logo that you can customize their colors. If you are looking for a professional gaming mouse to play CS GO, you should definitely consider CM Storm Recon. Steelseries Rival Optical Gaming Mouse is one of the best mice for playing CS:GO. It has 6 programmable buttons and it has a 1ms customizable response time to offer a “no lag” experience. Steelseries Rival provides configurable resolution options up to 6,500 CPI. It has an advanced optical sensor and this is perfect for FPS games like CS:GO. You can customize many options for this mouse with its software and you can even put your personal nameplate on it. You should definitely check out Steelseries Rival if you want a “top-class” gaming mouse for CS:GO. 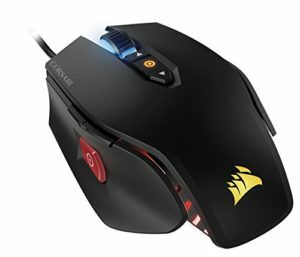 Professional CS:GO players using this mouse; KRiMZ, olofmeister, flusha, adreN, denis, Havoc, rallen, schneider. Razer DeathAdder Chroma is another great gaming mouse for CS:GO. It is designed to fit snugly under your palm for a comfortable gaming experience. Its ergonomic shape is also tested by professional eSports players. 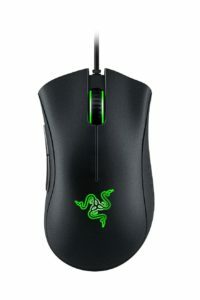 Deathadder Chroma has a 10.000 dpi optical sensor for both high and low speeds. Its weight is optimized for precision handling which is very important when playing CS:GO. Professional CS:GO players using this mouse; kennyS, nitr0, dennis, shox, FalleN, STYKO, FugLy. Logitech G303 is designed with feedback from gaming performance enthusiasts to provide enhanced accuracy and responsiveness. This light-weight gaming mouse has an advanced optical sensor to respond fast movements like aiming and shooting. You can choose a DPI between 200 to 12.000 or you can use the 5 on-the-fly DPI settings for fast switching. Logitech G303 is a perfect choice for both low-sensitivity gaming and MOBA games. You can also customize the “cool” lighting colors to match your style, system or environment. It has 6 buttons to bind your macros or in-game controls. You should definitely check out this gaming mouse. 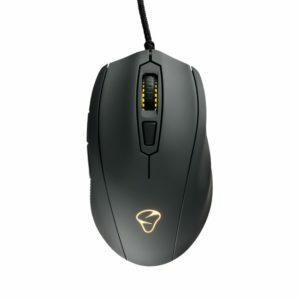 Professional CS:GO players using this mouse; GeT_RiGhT, dupreeh, larrigan, RUBINO, sgares, ShahZaM, Shroud. Zowie Gear EC1-A and EC2-A are great choices for fast competitive games like CS:GO, DOTA 2 and LoL. Both of them have a very ergonomic right-handed design and a wide DPI range. There are 5 customizable buttons on them and new Avago 3310 sensor works like a charm. If you are a low sensitivity CS:GO gamer, you will love Zowie Gear EC’s weight, tracking performance and smoothness. You don’t need to install any additional software to configure EC1-A’s and EC2-A’s buttons or DPI options. Just plug them, adjust the tracking speed by pressing a button on the bottom and you are ready to go. 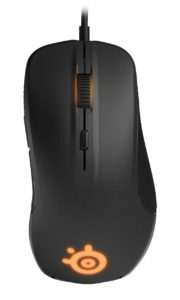 Professional CS:GO players using these mice; f0rest, Happy, naSU, apEX, Allu, zqk, Polly, spiker, Taz. SteelSeries Sensei is my favorite gaming mouse for CS:GO. It provides up to 11,400 DCPI with its 32bit ARM processor and this is very useful for FPS games like CS:GO, Call of Duty and more. It is also one of the most customizable gaming mice on the market. There are 8 buttons on Sensei RAW and you can record advanced macros with its software. SteelSeries Sensei RAW provides a great gaming experience for both low and high DPI usage. Its glossy smooth surface prevents sweaty hands and it is tangle-free via its double braided nylon cord. Professional CS:GO players using this mouse; JW, s1mple, Emilio, Yam, Maniac, Nico. 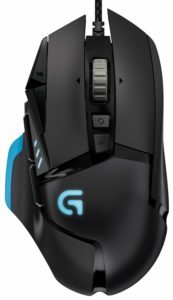 Logitech G400s is another great mouse for playing especially CS:GO and any other PC game. It has a 4000 DPI “Delta Zero” optical sensor to give you consistent, high-accuracy targeting experience in CS:GO. You can use 8 programmable buttons to perform single game commands or macros with a single click. If you want to switch between DPI’s or sensitivities, just click the switch button without interrupting your gaming. Logitech G400s has a durable and comfortable design and its long-life buttons guarantee 20 million clicks. 1-millisecond report rate will provide a zero-delay experience which is very important in CS:GO and any other FPS game. It comes with a free software to customize button and tracking profiles or to use pre-configured profiles for each game.Professional CS:GO players using this mouse; Tarik, stavros, kHRYSTAL, Nex, swag. Zowie Gear FK1 is another great choice for playing CS:GO. It offers an ergonomic gaming experience with its “claw grip” design. You can adjust report rates between 125 / 500 / 1000Hz and you can use 400 / 800 / 1600 / 3200 DPI settings. With the Avago 3310 optical sensor, this mouse provides perfect aiming when you play CS:GO. This mouse is suitable for both right and left-handed players and you can use Zowie Gear FK1 even you have large hands or long fingers. 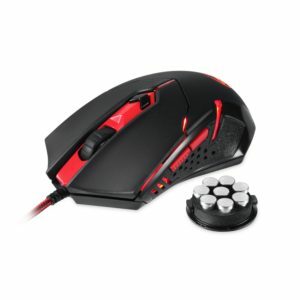 For competitive games like CS:GO, DOTA 2, LoL, WoW and SC2, this will be a good gaming mouse choice. 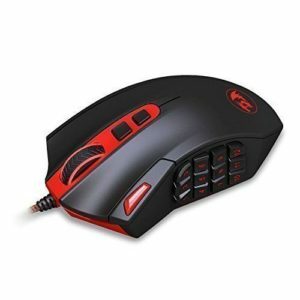 Professional CS:GO players using this mouse; Kirby, LEGIJA, AcilioN, Xp3, to1nou, LeX. Logitech G100s is a well-priced gaming mouse for CS:GO. It has a 2500 DPU Delta Zero Optical Sensor for consistent, high-accuracy targeting and cursor control. Its advanced surface materials grant durability and it also provides a comfortable gaming experience. You can switch between sensitivities by clicking a single button and use its free software to create a profile for each game. Logitech G100s has low-friction feet for smooth and fast maneuverability which is very important in CS:GO. Professional CS:GO players using this mouse; tahsiN, n0thing, Skadoodle, fREAKAZOiD, SPUNJ. Redgragon M601 is one of the most selling gaming mice and there are reasons for this. It is not an expensive mouse and has nice features. M601 has 3200 DPI (800/1600/2400/3200). There are 5 programmable buttons on it and you can save 5 memory profiles. It has an 8-piece weight tuning set to tune it for your gaming style. 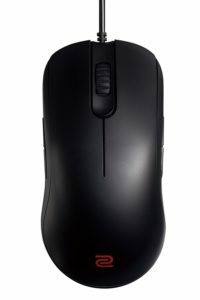 M601 has 2 programmable side buttons and anti-skid scroll wheel. It comes with a software for detailed customization. I would recommend to read its user reviews and find answers to your questions. This gaming mouse is IGN’s choose and definitely a good mouse for CS GO. UtechSmart Venus can go up to 16400 DPI, 12000 FPS, 1000 Hz polling rate and has Omron micro switches on it. It comes with 18 programmable buttons and an 8-piece weight tuning set so you can tune its weight for your style. It is designed for right-handed players and if you play CS GO and MMO or MOBA games frequently, you should check out this mouse.